Beginner to advanced: Dressage, Hunter /Jumper, Western Pleasure, Reining and English Pleasure. The hour long lesson* is all inclusive. 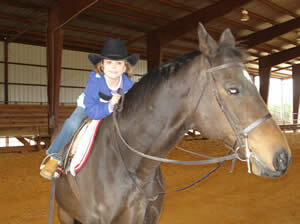 Students are responsible for grooming their horse, tacking, and caring for their horse after the lesson. Gift certificated for lessons are available. Call today to find out more on how to give the gift of lessons to someone you love.